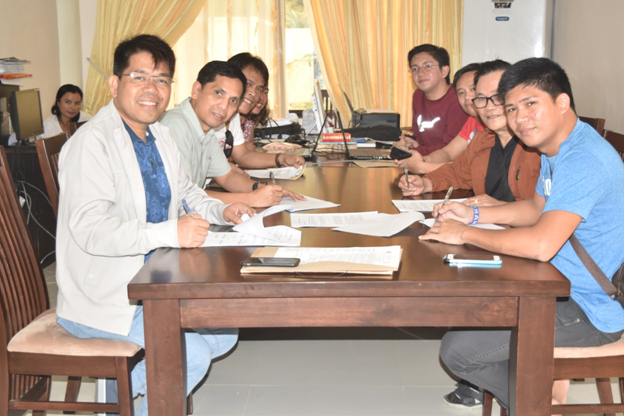 In the agreement, the LGU-Tubajon allocates its 50 hectares of forest/forestland for CSU to conduct its laboratory requirement in Forestry, Agroforestry, Agriculture and Environmental Science and for the conduct of research and extension while ensuring the safety of the students and faculty. In addition, the LGU – Tubajon shall helpsecure the forestlands from illegal cutting of trees, Kaingin making, illegal hunting of any wildlife thriving in the forestland, and to protectthe area from illegal mining activities. Meanwhile, CSU shall assure the forest conservation approach in the conduct of laboratory, research and extension activities at the site to include flora and fauna species thriving in the area without any form of alterations or extractions of any forest products in the area during the conduct of any educational activities. Furthermore, CSU shall conduct information campaign, seminars and technology transfer trainings in the communities in Tubajon related to forest/upland conservation and other developmental activities like rehabilitation of degraded and abandoned areas to include enrichment planting, reforestation and Agroforestry technology. Caraga State University offers programs in the field of Forestry, agroforestry, agriculture and environmental science in response to its mandate to provide quality education in the aforementioned fields of studies.